Born into a family in the army, in Manchuria, he also joined the army at the beginning of the Cultural Revolution, and after studying English and literature, obtained in 1985 a scholarship to the United States. 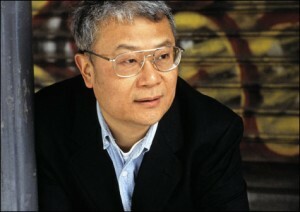 The events of Tiananmen Square in 1989, led him to settle there, and he managed to bring his wife and son. Odd jobs, but he also publishes books of poetry and short stories, with essentially the army and northern China as a backdrop. Numerous literary prizes and a huge success with “Waiting” (2) where one feels the pressure of the Communist Party and the hierarchy of the hospital on the privacy (or lack of privacy) of the hero, a doctor. Other books, but especially “War Trash” (3), a great book, universal, and against wars, about the Korean War and its prisoners. “A free life” is his first “American” novel, which was very well received by critics and media: “I do not consider myself a dissident, and I’m more an immigrant than an exile. An exile has an important past: he often lives in his past and has to define himself in the context of a political power. But an immigrant must start from scratch, the past is not essential, he provides his own frame of reference “(4). The hero of the book, Nan, as Ha Jin, started from nothing: a night watchman in a factory and then a hand in a small restaurant. He learned cooking and bought on credit a restaurant, the Golden Wok. This thick book shares with us, step by step, the route of Nan and his family, the steps of the American dream. Speaking English is necessary for survival; Nan spoke the language before arriving in the United States and his wife made rapid progress. This is the key to find a job and Ha Jin, makes it the key topic of a collection of short stories “A good fall” (5), published in 2009 and not yet translated. An essential question for Ha Jin, who writes in English and has even dedicated an essay on this subject (“The Writer as Migrant” (6)). In the novel, it is also a family problem with the son Tao Tao, moving away from writing Chinese characters, and the quarrels between father and son will end up in English! This development will complicate his relations with the Chinese community, although a widespread proverb in the diaspora emphasizes that “it is by becoming a citizen of another country that one is well treated by the Chinese.” Chinese communities are very diverse: economic, cultural, literary and even religious Nan takes us into different groups, often nationalists, and who object his application for a U.S. citizenship. Nationalists or dissidents, some of them will eventually return to China. Nevertheless, for Nan, it is difficult to cut ties and special occasions such as the Atlanta Olympics bring back “patriotic” emotions. Other sequences on literary life have for me less interest, and some found the novel too long even if its short chapters are read effortless. One has to take the time to look at Nan and his family, at their development step by step in American life. Nan, his irresolution, his memories of Beina, a student sweetheart, is an engaging personality and the drama in this novel is the clash of cultures. Nan wins a ticket in a lottery and goes to visit his parents and he hopes Beina. In Beijing, he met old friends who have dropped their ambitions, “the leaders want us to write about characters or events of the past, this is a way to make us less subversive … it’s their way of controlling the energy and talents of the country ” ; protests pretty theoretical as one lives well between banquets, easy money and girls! His family meanwhile, treats him as an “uncle from America” and requires gifts and support. In short, he is happy to return to the United States, at home, while being clear on the hardness of his life: hard work but a quick economic success; he finishes paying his house, “in a few years, he made a journey that takes to the majority of immigrants a whole lifetime “. Racial prejudice is still there, his son does not suffer because his fists had him respected at school. They are accepted because … they are the only Chinese in the neighbourhood. The churches also play a real role including those of the Chinese community. 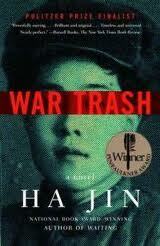 (1) Ha Jin. ” A free life.” Pantheon, october 2007. 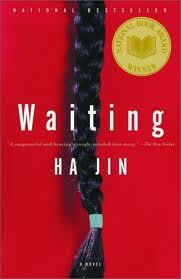 (2) Ha Jin. “Waiting”.Vintage, september 2000. (3) Ha Jin. “War Trash” Vintage, may 2005. (4) The Paris Review No. 191, Winter 2009. (5) Ha Jin. “A good fall.”Vintage, november 2009. (6) Ha Jin. “The writer as migrant”. Unversity of Chicago press, november 2008.